To provide a professional-quality service bureau supporting the photo and digital output needs of RIT students, faculty, and staff. 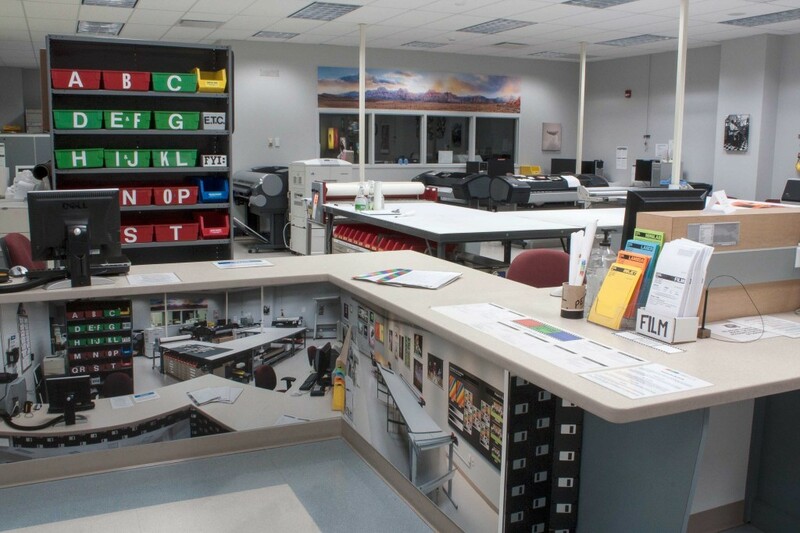 The Imaging Systems Lab is located in room 3090 on the third floor of the Frank Gannett Memorial Building (7B) on the RIT campus. Need to complete the lab safety test to use the SPAS darkrooms or chemical labs? Click here to visit the RIT EHS training website. Click the “Lab Safety Training” button to begin the presentation, followed by the test. You will find it at the upper right corner of the page, in orange type. The Imaging Systems Lab must pre-inspect each file submitted before printing. This is why jobs must be submitted at ISL in person. The staff work with each customer to ensure the best result possible from each file. Sorry, we do not accept phone or email orders. HOURS: Monday through Friday, 8:00am – 4:30pm during normal school hours. Closed during breaks.